Nash is the new teen male sensation ! 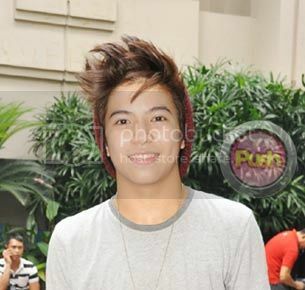 Is Nash Aguas Daniel Padilla’s next competitor? Now that he’s back on TV as part of the new Luv U cast, Nash Aguas is ecstatic but at the same time nervous about acting again. “Parang nong una excited kasi ang tagal ko ng hindi nagawa, ang tagal ko ng hindi nag-act. At the same time, kabado kasi kung marunong pa rin ba akong mag-act,” he said in an exclusive interview with Push.com.ph during the Kapamilya Caravan of ABS-CBN’s comedy shows in SM Skydome last Sunday, July 7. How was the transition from doing a kiddie show to a teen show? “Parang normal lang siya. Hindi ‘yung sobrang hassle kasi Goin’ Bulilit same-same ng Luv U. At siyempre nag iba lang ‘yung ways kasi high school ka na tsaka sa Goin’ Bulilit ‘yung roles namin don pang-matanda pa rin, kunwari mag-asawa pa rin, mag boyfriend, parang wala ring nag-iba halos, so para sa part na ‘yun hindi ako nahirapan,” he said. Nash has one of the biggest fan bases now on social media and he trends on Twitter whenever he’s on TV. With such an overwhelming response from the public, some couldn’t help but compare him to Daniel Padilla. Did he just become Daniel’s biggest competition? “Hindi ko po siya gustong kalabanin or something kasi magkaibigan po kami,” he commented. He said he appreciates the support that he’s receiving, but he clarifies that there is no need for competition. “Natutuwa po ako sa suporta pero parang hindi naman kompetisyon kasi si kuya Daniel 17 na siya, mas matanda siya sa akin, 14 pa lang ako, so di ko iniisip na parang ganon,” he remarked. If given the opportunity, Nash wants to pursue romantic-comedy and drama in the near future. “Gusto ko po ma-try lahat pero more on sa drama siguro, drama or rom-com,” he said. Will he pursue music and release an album? “Sintunado po ako lagi eh, dancing po siguro, pero sa music mahaba-habang music lesson po ‘yun kasi di po ako gaano kumakanta,” he humbly stated. Ang taong pinapasalo ng hindi gaanong kagalingang umarte na love team sa LuvU. Good job Nash! Nadadala mo so far ang loveteam mo. Nash Aguas’ character, Benj Jalbuena, is getting a load of attention from the girls as Lexie (Alexa Ilacad) and Marj (Mika dela Cruz) set their sights on spending time and getting attention from the school’s resident bad boy on Sunday’s (August 25) episode of “LUV U”. 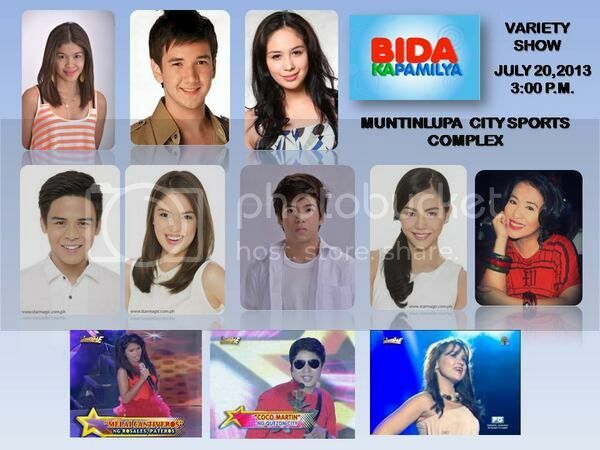 Nash Aguas, Mika dela Cruz and Alexa Ilacad in a Triangle? A dance performance during the school’s celebration of “Buwan ng Wika” pairs Benj and Marj together again. The two, who are also study partners, catch glaring looks from Lexie, whom Benj recently saved from her phobia of fires. Lexie begins to question why the two are always partners for school activities, and finds herself jealous that Benj’s attention is on Marj. Wondering why she feels that way, she begins to ask herself what emotions she really has for Benj. While all of this is taking place, Shirley (Sharlene San Pedro) notices all the tension going on between Lexie, Marj and Benj. She sees that something is developing. In the meantime, she and Drake (Jairus Aquino) have been spending lots of time together as well. Drake always treats Shirley out during break times. Is Drake beginning to show signs of affection to one of the girls as well? 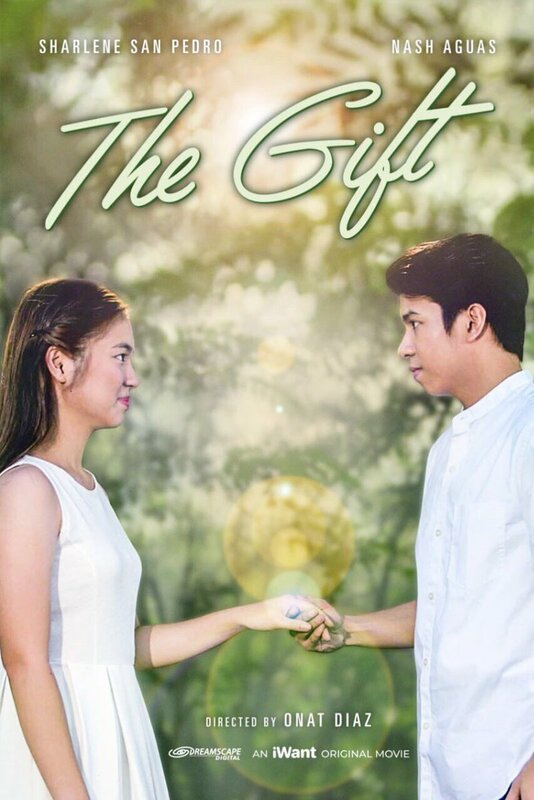 Now that people are beginning to notice, will Benj finally choose which among the girls he is really interested in? Find out on this Sunday’s (August 25) episode of “LUV U”, airing on ABS-CBN Channel 2 after “ASAP 18″. Former “Goin’ Bulilit” child stars turned “Luv U” love team Nash Aguas and Alexa Ilacad will take TV viewers on an endearing journey through joy and pains of young love in the upcoming episode of “Maalaala Mo Kaya” this Saturday (September 21). Nash will give life to the character of Jomer, a high school freshman who pretended to be gay just to get close to his ultimate crush Jane (to be played by Alexa). Will Jomer’s plan of befriending Jane work or will it be the reason for the end of their budding romance? Together with Nash and Alexa in the episode are Jennifer Mendoza, Ian De Leon, Khaycee Aboloc, Francis Magundayao, Larah Claire Sabroso, and Ogie Escanilla. The story was researched by Agatha Lee Ruadap, written by Jaymar Castro and directed by Raz De la Torre. Don’t miss “Maalaala Mo Kaya” (MMK), Saturday nights, after “Wansapanataym” on ABS-CBN. For more updates, log on to www.mmk.abs-cbn.com, follow MMKOfficial on Twitter, and “like” www.facebook.com/­MMKOfficial. Former “Goin’ Bulilit” child stars turned “Luv U” love team Nash Aguas and Alexa Ilacad will take TV viewers on an endearing journey through joy and pains of young love in the upcoming episode of “Maalaala Mo Kaya” this Saturday (September 21). Nash will give life to the character of Jomer, a high school freshman who pretended to be gay just to get close to his ultimate crush Jane (to be played by Alexa). Will Jomer’s plan of befriending Jane work or will it be the reason for the end of their budding romance? Together with Nash and Alexa in the episode are Jennifer Mendoza, Ian De Leon, Khaycee Aboloc, Francis Magundayao, Larah Claire Sabroso, and Ogie Escanilla. The story was researched by Agatha Lee Ruadap, written by Jaymar Castro and directed by Raz De la Torre. Don’t miss “Maalaala Mo Kaya” (MMK), Saturday nights, after “Wansapanataym” on ABS-CBN. For more updates, log on to www.mmk.abs-cbn.com, follow MMKOfficial on Twitter, and “like” www.facebook.com/­MMKOfficial. One of today’s favorite teen duos takes on the hit comedy sitcom starring Vhong Navarro, Angel Locsin, as Nash Aguas and Alexa Ilacad of “LUV U” guest star on this Saturday’s (October 12) episode of “Toda Max”. Nash is set to play the part of Darryl, Justin’s (Vhong Navarro) nephew. Alexa, on the other hand, will be playing the part of Jing-Jing, a niece of Isabel’s (Angel Locsin). Both arrive on the set of “Toda Max”, paying a visit to Beverly Gils and meeting the people there. Being teens, the two find themselves crushing on people from town—but oddly enough, it turns out that Darryl has developed feelings for Isabel and Jing-Jing has developed feelings for Justin! How will Isabel and Justin solve the issue without breaking any hearts? Meanwhile, Nash and Alexa also have other issues to solve in their own teen series, “LUV U”, where an interschool declamation contest is well on the way. Marj (Mika dela Cruz) is selected to represent the school. Lexie (Alexa Ilacad), Marj’s close friend, is also pushed to join, especially after topping the recent exams. However, there can only be one student to represent the school in the contest. With both of the girls being determined to participate, will the heat of the competition affect the bonds of friendship? Find out how everything falls in place this weekend for Nash and Alexa in “Toda Max” and “LUV U”. “Toda Max” airs back-to-back with another hilarious performance from the gang of “Banana Split: Extra Scoop” on Saturday (October 12) after “I Dare You”. “LUV U” airs on Sunday (October 13) after “ASAP 18”. Catch all the Kapamilya comedy shows on ABS-CBN Channel 2 to make late nights and weekends the most fun for the whole family. Love is the best gift you can ever give to someone.